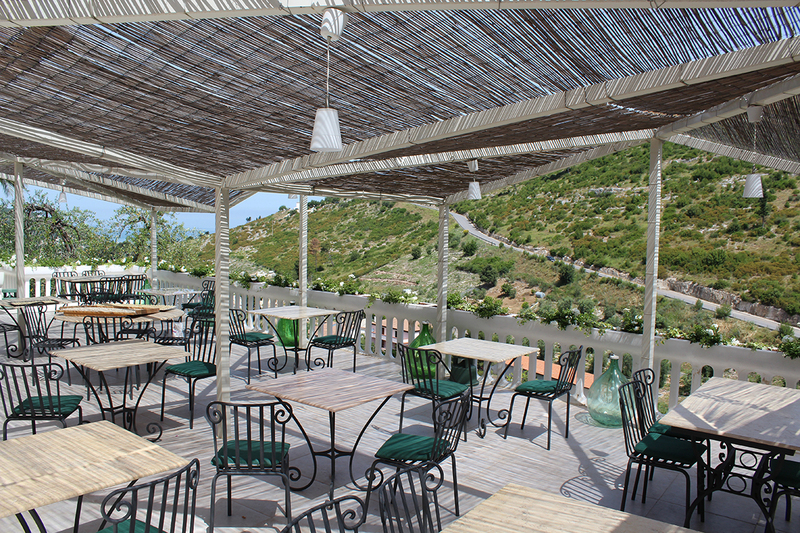 The Locanda is a rural hotel at 1 km from the centre of Peschici. It has 15 rooms of different typology for a maximum number of 42 people (in average 30/35 people when we are booked out). 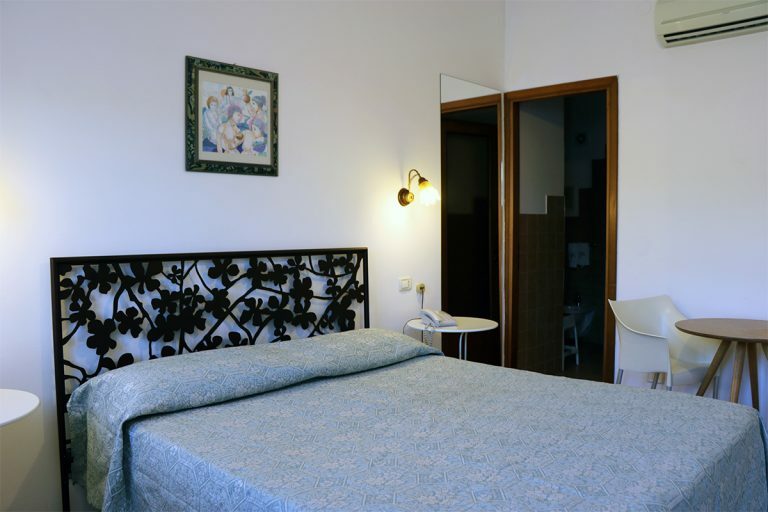 We have three different types of rooms: 6 classic (exclusively double rooms), 5 comfort and 4 superior rooms. 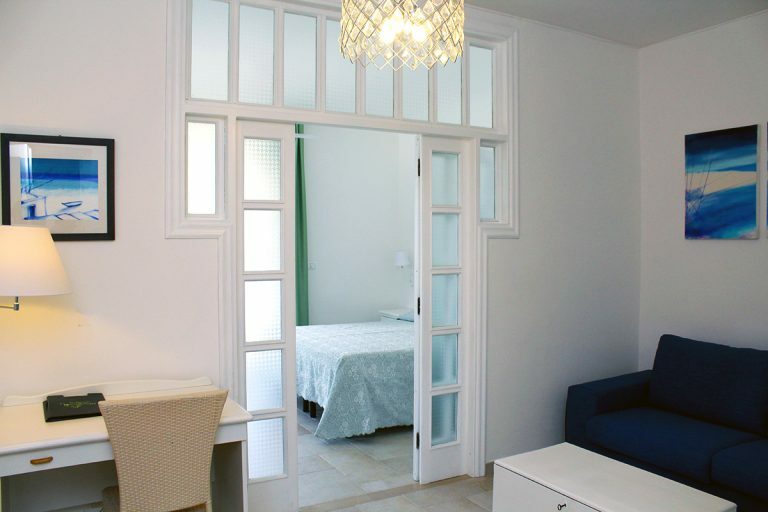 The Classic Rooms are situated on the ground floor, they are double rooms (with the possibility to add a baby bed or baby cot for a little child) of 14 or more mq. 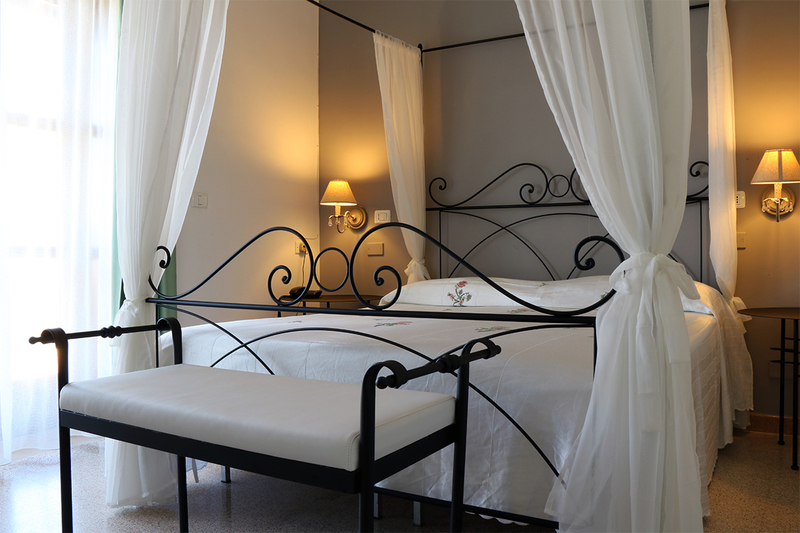 Our classic rooms have a double bed and a private complete bath room. Ideal for couples with a short stay or for guests who do not need extra spaces. There are a table and chairs outside. They don't have a private balcony but our guests can use the many verandas and free outdoor spaces to get in touch with the nature all around. The comfort rooms (mq. 30) can give accommodation to 4/5 people maximum, they have a private terrace of 8 mq. Ideal solution for couples with a long stay and families. Breadth and brightness are their outstanding qualities. They are composed by two separate areas, diveded by a door, the night area with the double bed that entres to the private big terrace (mq. 9) and the living with a sofa bed and the big bath room on the other side. Due to their caracteristics they are indicated for families with little children or youngsters. The superior rooms or junior suites (32 mq), with their refined style, offer larger spaces and a bigger private terrace (12 mq. ), they are situated on the second floor and present more attention of detalis. Ideal for couples or families who love big spaces and personalized service. They are composed by two separate areas divided by a door, the night area with the double bed that enters to the big private terrace and the living with a sofa bed and the bath room on the other side. For their carateristics the are indicated for couples and families with a youngster. The panorama and the brightness togehter with the charme make of the superiorrooms the most requested.